For the best result when sewing canvas, you need either a heavy-duty sewing machine or an industrial sewing machine capable of running heavy duty thread for canvas. You might "get away with" using a lighter, standard-duty, light gauge thread when you sew canvas, but you can't really expect what you make to holdup and last if you do. In the fabric store, or online store, look for heavy gauge thread. In the store, the coarse thread you need for sewing canvas should be with or at least near the upholstery, drapery, or canvas department. Also, if you plan to use the canvas item you're making outside, look for UV protected thread, or it will rot away long before your canvas wears out. 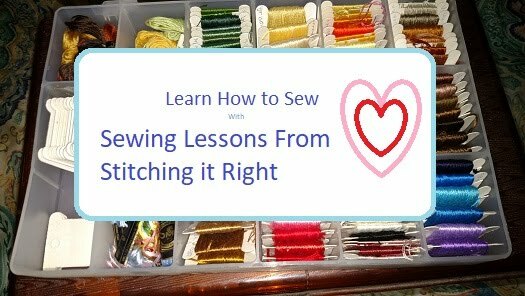 One final tip for sewing with heavy gauge thread: Use a large gauge sewing machine needle. It's possible to sew coated polypropylene on a regular-duty sewing machine, though I don't recommend doing it frequently because it is hard on the machine. No pins: Don't try to use sewing pins. Pins just poke holes in the coating layer and increase the chance your sewing machine needle will hit a pin and break while you're sewing poly-pro. Think big: Use a big sewing machine needle, such as a denim needle. If you try to use a delicate needle, it's just going to break and could even damage your sewing machine. Grab the tape: If you have too much trouble keeping poly-pro layers together, use heavy-duty packing tape and sew right through it. Just have some acetone (nail polish remover) or rubbing alcohol handy to clean the needle if you do this, because it gets sticky. Flatten layers completely before sewing: Don't let the seams flap both ways because you will hit thick spots if you do, and will most likely break your needles. Brace yourself: Sewing coated polypropylene on a regular duty sewing machine, hold on tight. Sewing this fabric is the seamstress's version of driving on ice. The coated material slides out of control quickly, especially when you run it through a regular sewing machine. You really need a walking foot sewing machine for this if you plan to make a habit of sewing polypropylene fabric. No rubbing: Don't let your fingers slide along the cut edge of the poly-pro. Think triple-width paper cut if you do - well - you won't have to think it because that's what you'll have - and yeah, it hurts.